By Contributing Author 10 Comments - The content of this website often contains affiliate links and I may be compensated if you buy through those links (at no cost to you!). Learn more about how we make money. Last edited May 20, 2013 . 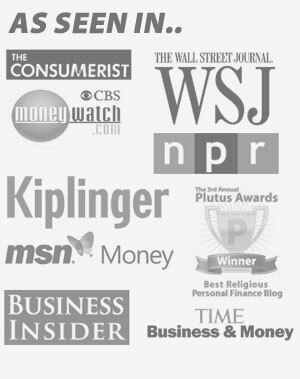 The Roth IRA (and its cousin, the Roth 401k) are getting press lately and with good reason. There is a fear that taxes will need to rise over time and we will all find ourselves retiring in a higher tax bracket than we are in today. Let’s first take a step back to understand what these account are and how they work. What Is An IRA, And How Does It Work? A traditional IRA account or 401(k) account allows you to deposit money into an account prior to having it taxed. If you are in the 25% bracket ($67,900 taxable for married filing joint or $33,950 filing single) you can put $5000 into the IRA ($6,000 if you’re over 50 this year) or you can pay $1,250 in taxes and clear $3,750. 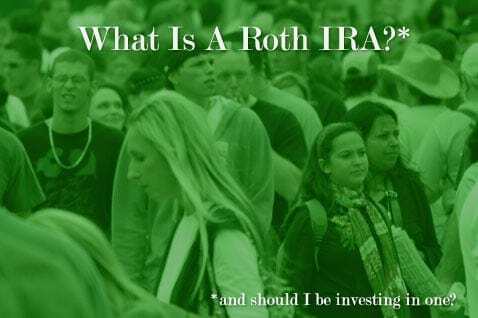 With the introduction of Roth a number of years ago, you have a new choice, to pay the taxes now, clearing that $3,750 and after depositing into the Roth account (or Roth 401(k) where the limits are $16,500 or $22,000 if 50 or older) and not paying any taxes when you withdraw these funds at retirement. At some level this is a simple choice, pay tax now or pay it later. Let’s think about this a moment. Do you know your current marginal rate? Do you know what “marginal rate” means? A simple way to look at this is that your marginal rate is the (federal) tax you’ll pay on the next $100 of taxable income. You may make over $80,000 and see that your taxes aren’t quite $10,000, but the next $100 is taxed at 25% or $25. An important distinction to understand. Fairmark offers a nicely presented chart to see marginal rates, it’s important that you understand this concept before making any decisions. Knowing your current marginal rate is easy, projecting what it will be at retirement, not so easy. It’s this ‘not knowing’ that may prompt you to go one way or the other, but there are steps you can take to improve your decision process. At the beginning of your career (and younger, if you are working as a teen), there’s a good chance you are in the 15% bracket. Now is a good time to put some money away in Roth accounts. As your salary increases, you are likely to take on a mortgage, and perhaps start a family. This gives you deductions for the mortgage as well as the additional exemption (and perhaps earnings) of your spouse. If despite that, you are in the 25% bracket or higher, I’d suggest using pretax savings, the traditional 401(k) and IRA accounts. Now is the time in your life to learn to project out what your retirement will look like. Are you on track to have $2 million dollars in pretax accounts? If not, continue to save pretax. Why $2 million? A conservative withdrawal rate is about 4%/yr. This results in $80,000/yr upon retiring, and right now that will put you toward the top of the 15% bracket. Also, keep in mind that few people work 40 years with no break or disruption to their income. Use these disruptions (times you will drop into a lower bracket) to convert funds from a traditional IRA to a Roth, in essence “filling up the bracket” just enough to top it off but not go into the next. Last, toward the end of your working career, the decision becomes very simple. With retirement only a few years away, you should be able to calculate what your marginal rate will be after you retire. If the same or higher, go with Roth, if it will be lower, go with traditional. Once retired, continue to take advantage of the Roth conversion option. In 2009 a married couple can have $86,600 in gross income and still be in the 15% bracket. If they are withdrawing say $40,000 per year from pretax accounts, they should consider converting right up to the $86,600 figure and pay the 15%. This money will never be subject to RMDs (required minimum distributions) and when you pass, your heirs will not have to pay income tax on the withdrawals as they would from a traditional account. This also will help you avoid that higher 25% bracket as the equation to calculate your RMD continues to force you to take a larger portion of your account out each year. Are you currently taking advantage of a Roth IRA? Why or why not? What types of retirement accounts are you investing in and why? Let us know in the comments! This is an article by Joe from JoeTaxpayer.com. Stop by his site and subscribe to his feed for more great articles! I have been hearing a lot of positive things about the Roth IRA for awhile and because of advice like this started my own and will be maxing out my first year. While young and less financial responsibilities I am hoping to continue cause I may need more money for other things in the future. I have yet to project retirements figures, but when do you think that should happen? The reality is, I’m too lazy to open a Roth IRA, or I’d just put the minimum in the 401(k) (for matching) and the rest into a Roth IRA. But right now that seems overwhelming to me. Currently, it is wise for me to parlay my contributions in lieu of my debt repayment. But believe me… I cannot wait for that glorious day when I can start paying myself instead of those collecting interest on my current debts! I’m with you Matt.. I’ve got a bit longer to go, but I’m with you. I have really hated missing all the bargains that could have been added to my “portfolio” over the last year, but it’s still better to get the debt gone first. Still, the 13.9% (or what ever) rate it is you’re eliminating by paying of the plastic is tough to beat. The closest you’ll get to a guaranteed return like that is the less than 5% being paid on 30 year treasuries. Meanwhile the stock market goes up, and it goes down; I’d put my money on paying off the credit cards and gladly leave the bargains on the table. I currently invest the maximum amount in my Roth IRA on an annual basis. The main reason I choose a Roth over a Traditional IRA is exactly what this article discusses… Uncertainty. I have a mix of traditional and Roth IRA’s. Thanks for continuing to “preach” the significance of marginal tax rates. When I read it enough times it is starting to soak into my thick skull. Ditto Joe. I have a mix of traditional and Roth IRAs. I would also like to thank you for the lessons. I was reminded by a financial advisor at fabeetle that neglecting to name both beneficiary & contingent on your IRA costs your heirs more in taxes. BTW, my company happens to be giving iPhones away right now for anyone who is interested. You can check it out here http://www.fabeetle.com/giveaway We want to know why you save and invest. Love Love Love the Roth! I’ve had one since it first became available. And although I’ve never been able to contribute the maximum, I do love adding to it every year. Since I can’t ever see my tax bracket going lower, I think the Roth is the way to go (once I get all this debt paid off). And since my Roth has been open more than 5 years, it is like a backup emergency fund in a worse case scenario.